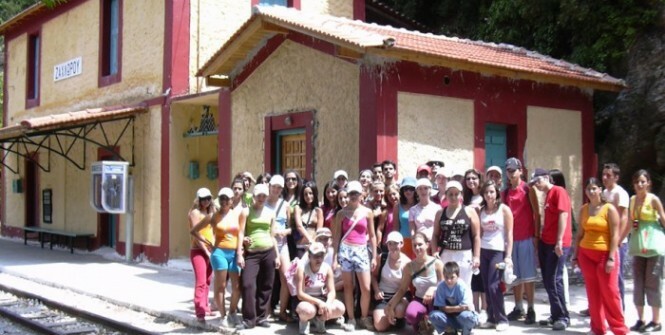 The Ecocamp takes place in the facilities of the campsite of the Centre for Environmental Awareness/Sensitivity and Education of Rodea, at the foot of Mount Erymanthos and more specifically in the Manesi Forest of Kalavryta, about 50 kilometres from the city of Patras and 200 kilometres from the capital Athens. From Patras: Take the national road to Kalavryta and you will find the Ecocamp (Rodea) 2,5 kilometers before the Manesi village. From Athens: Take the national road Athens-Patras up to Diakofto, then follow the road towardKalavryta. About 20 kilometres after Kalavryta, you will find the village of Manesi and then about 2,5kilometres ahead, the campsite in Rodea.